Capacities from 225 to 600 pounds. 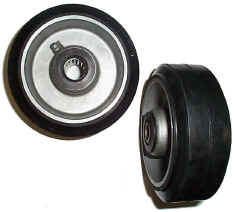 6" and 8" wheels are available less bearings. Axel size would be 1-3/16". Please inquire 888-472-5737.